Today is National Nut Day so of course we had to give dessert a nutty boost! Blondies get a major Halloween upgrade with a crispy chocolate crust, creamy Old Fashioned Peanut Butter, White Chocolate Spread, and a quartet of crunchy/melty/sweet/festive add-ins. Makes about 3 dozen 1½" blondies. Preheat the oven to 350℉. Spray and line a 9" square or round pan, set aside. Combine Natural Cookies & Cream Cookie Crumbs and melted butter, stir until evenly moistened. Press into the prepared pan and bake for 10 minutes. Set aside to cool. Leave the oven on. Whisk together flour, Almond Flour, baking powder, and baking soda. In a saucepan over medium heat, melt the browned butter and brown sugar, stirring to combine. Remove from the heat and add White Chocolate Spread. Let it sit for a minute then whisk to combine. Add Old Fashioned Peanut Butter and stir until the mixture is smooth. Temper in the eggs and add Madagascar Bourbon Vanilla. Pour the mixture into the dry ingredients and mix until just combined. Stir in white chocolate chips, peanut butter chips, and peanuts. Spread over cooled crust and bake for 20 minutes. 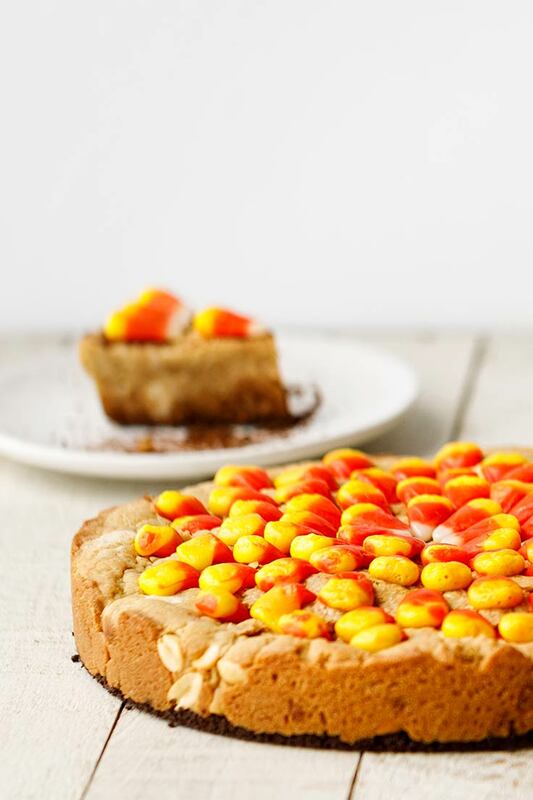 Remove the pan from the oven and spread candy corn around the top, pressing some into the mixture. Bake another 5 minutes. 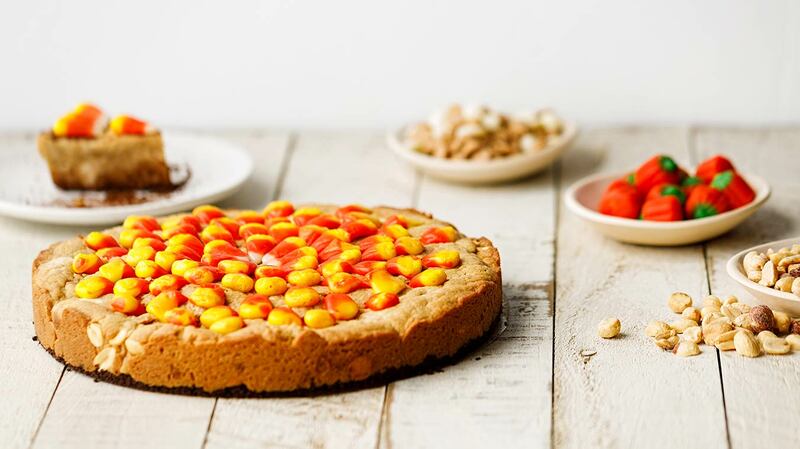 For a “graveyard” look, tilt some of the candy corn as tombstones might be and sprinkle 2 tbsp Cookies & Cream Cookie Crumbs over the top for a dirt effect before baking another 5 minutes.